The University of Southampton is one of the top 100 universities in the world, according to two successive international rankings guides published this month (September). In the new Times Higher Education World University Rankings announced today (16 September), Southampton is one of only 14 UK universities in the global elite of 100 higher education institutions. 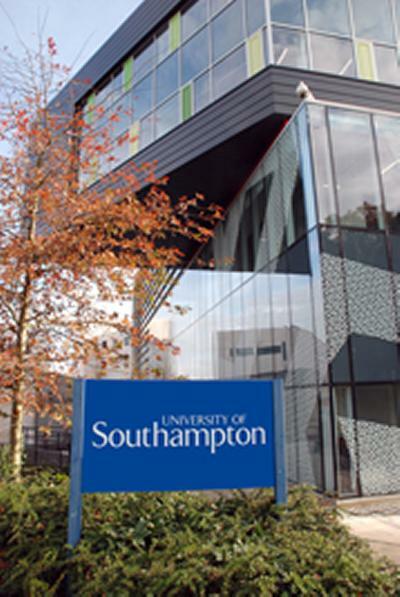 This follows the 2010 QS World University League Rankings, announced on 9 September, which placed Southampton at number 81. The THE rankings used new methodology this year to recognise strengths in teaching, research, citations of research, income from industry and the international mix of students and staff. Professor Don Nutbeam, Vice-Chancellor of the University of Southampton, says: “We are pleased to see that under the new THE methodology we continue to be placed firmly within the top 100 universities in the world. This is the second international ranking in the past two weeks that has acknowledged the University of Southampton’s world-class performance. Although the rankings use different methodologies, they are recognised internationally as indicators of excellence in teaching, research and knowledge transfer in higher education. Professor Nutbeam comments: “An important function of these ranking systems is to bring relevant information about university performance into the public domain. Students, their parents, government and the business community place different importance on diverse aspects of university performance.